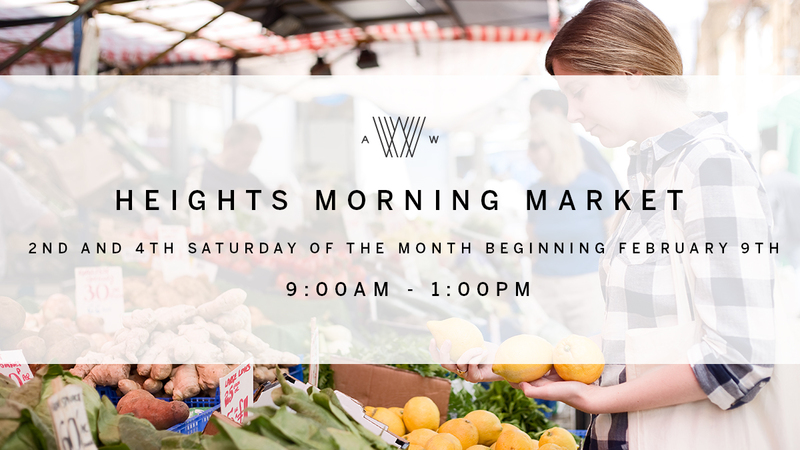 The first Heights Morning Market event will begin February 9th, 2019 from 9am – 1pm. Some of the items you can expect to find are locally sourced and grown produce, meats, seafood, artisanal food items, packaged jams, sauces and much more. We are now accepting vendor applications for the Heights Morning Market. The 2nd and 4th Saturday of every month, from 9am – 1pm. Interested in becoming a vendor? Check out more info, here.